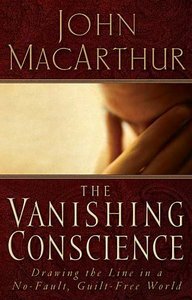 The bestselling author of The Gospel According to Jesus, MacArthur claims that we have become a people who shift blame, deny guilt, love self and excuse moral failure in this compelling book. The result is diminished integrity and the loss of our ability to experience God's grace and forgiveness. This explosive book presents biblical solutions to the problem of sin, and leads readers from a life of blame and denial to the true peace and freedom. Are you losing your ability to recognize sin? Are you becoming a person who finds it easy to shift blame, deny guilt, or excuse moral failure in yourself or others? In this challenging yet compelling book, John MacArthur encourages you to confront the culture's flight from moral responsibility. With sound biblical truth, this book shows how and why sin must be dealt with if you are to live in a way that pleases God. With clairty and insight, John MacArthur provides you with solutions for attaining a personal holiness that can take you from living a life of blame and denial to one of peace and freedom.